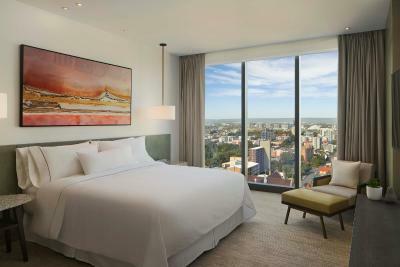 Lock in a great price for The Westin Perth – rated 9.4 by recent guests! Superb Stay. Very impressed with the investment by Westin and the quality of this hotel. Will be returning if prices remain as competitive as they are. Reasonable upgrade and late check out options too! Location, decor, staff, facilities.....stunning foyer. Excellent afternoon tea. Excellent staff. Beautiful inside and out. The staff were exceptional, we loved the boutique feel poolside, the view from our room, the exceptional meals and service at the Garum Restaurant for dinner and breakfast, the lounge area and comfort of the bed and room. We thoroughly enjoyed our stay and the benefit of an extended late check-out on Sunday was much appreciated. Loved it! Well kept, clean, lovely accommodating staff in all areas of the hotel. Well set up for work travel. 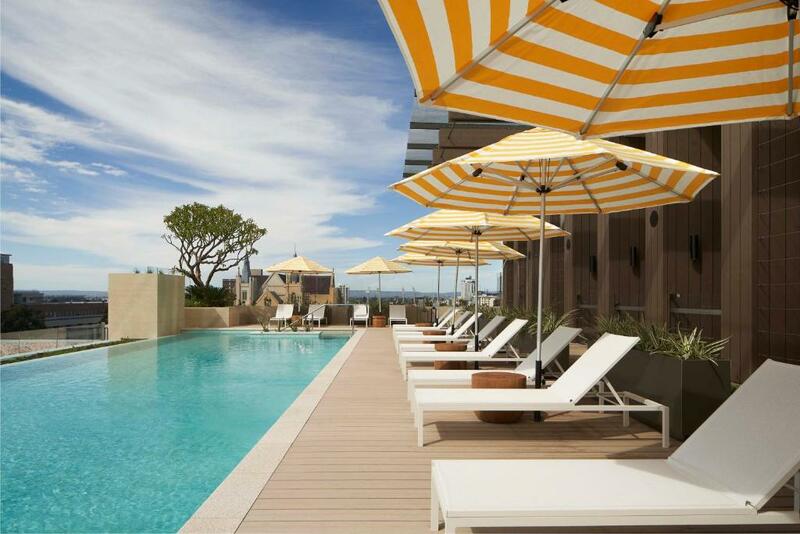 Great rooftop pool. Even though it was a public holiday and the surrounding restaurants were closed, we are definitely coming back for a stay at a later date when there is more open. 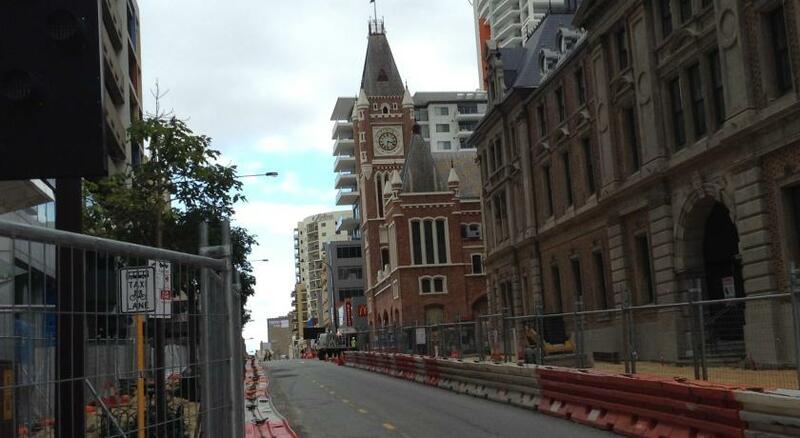 The hotel is very well located for exploring Perth. 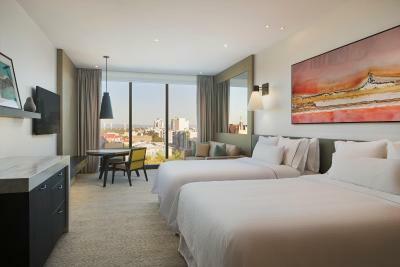 New hotel , centrally located in Perth CBD. Good bars and restaurants (Arthur & Co :) ) nearby. Parking expensive and poor value for money.. Smart providing free WiFi. The hotel is at the smart end of “smart casual”. It has a decent location a street away from the waterfront. 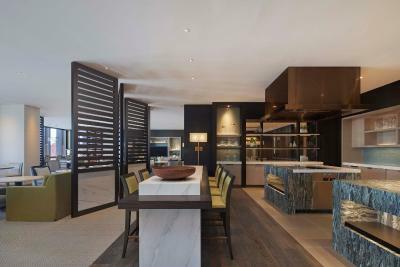 The rooms are utilitarian rather than chic. Very comfortable beds. The standard of food from room service was exceptional. 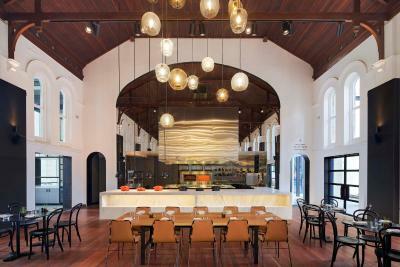 The bar / casual dining area in the lobby seems to be a trendy destination for Perth locals. 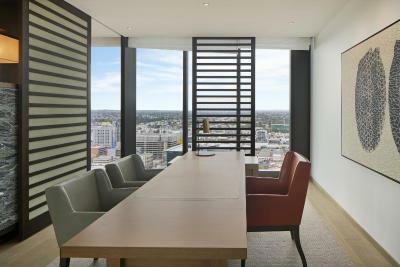 The Westin Perth This rating is a reflection of how the property compares to the industry standard when it comes to price, facilities and services available. It's based on a self-evaluation by the property. Use this rating to help choose your stay! 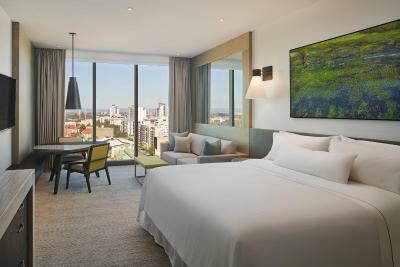 One of our top picks in Perth.Featuring an outdoor swimming pool and a fitness center, The Westin Perth is in a prime location in the heart of Perth, ideally located 650 feet from Perth Concert Hall and 1,000 feet from the city's vibrant city malls. 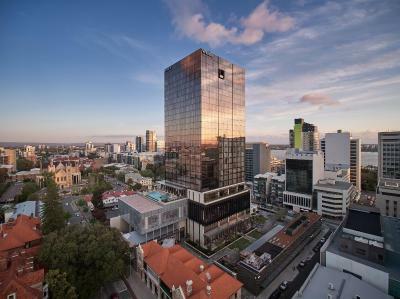 Boasting a terrace, the hotel is close to several noted attractions, around 0.7 mi from Perth Convention and Exhibition Center and around an 18-minute walk from WACA. 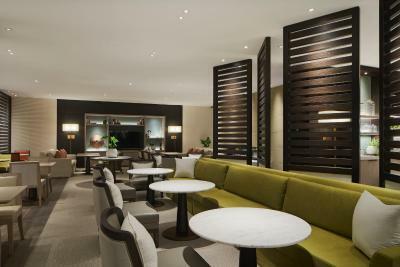 Guests can enjoy a drink at the bar or a meal in the restaurant. 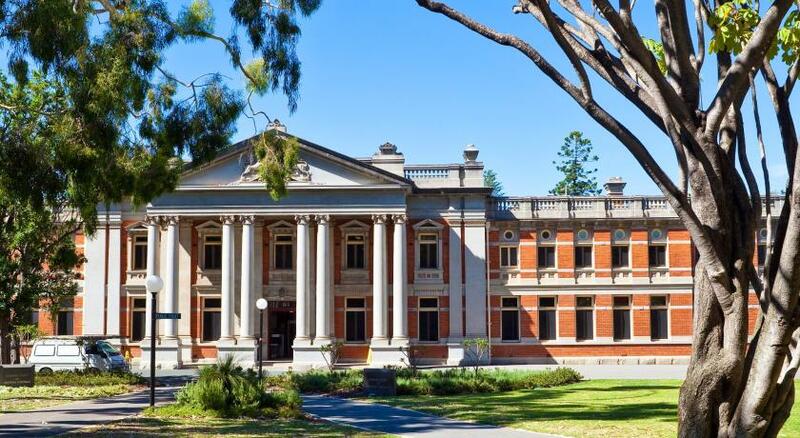 The hotel’s signature restaurant; Garum by iconic Australian Chef Guy Grossi is part of the heritage listed Hibernian Hall and offers all day dining options complemented by The Haven Lounge & Bar serving light fare and signature High Teas. 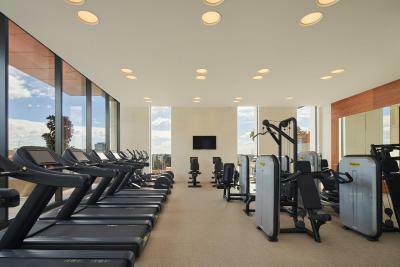 A wellness level encompasses a luxurious Day Spa, 24-hour fitness center and 66 foot infinity edge pool. 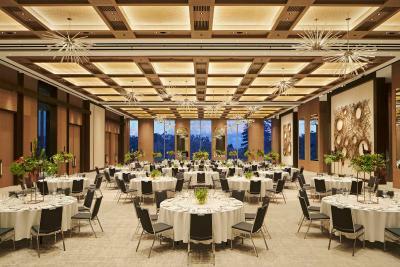 Meetings and Conferences are well catered for with over 2,300 sqm of event space including an 800 sqm grand ballroom. 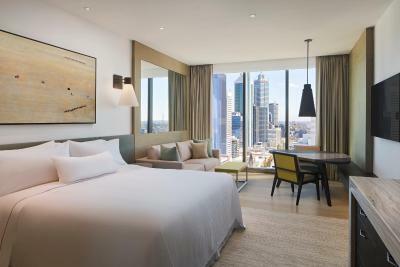 The Westin Perth guestrooms feature signature Heavenly Beds and White Tea amenities, 55-inch TVs with premium channels and a rejuvenating rain shower. Leederville Oval is 1.9 mi from the accommodations, while Medibank Stadium is 1.9 mi away. 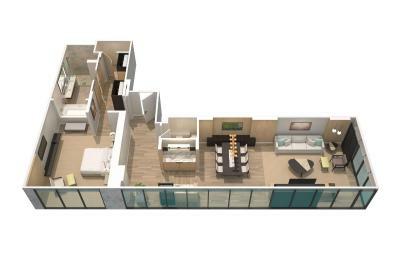 The nearest airport is Perth Airport, 6.2 mi from the property. 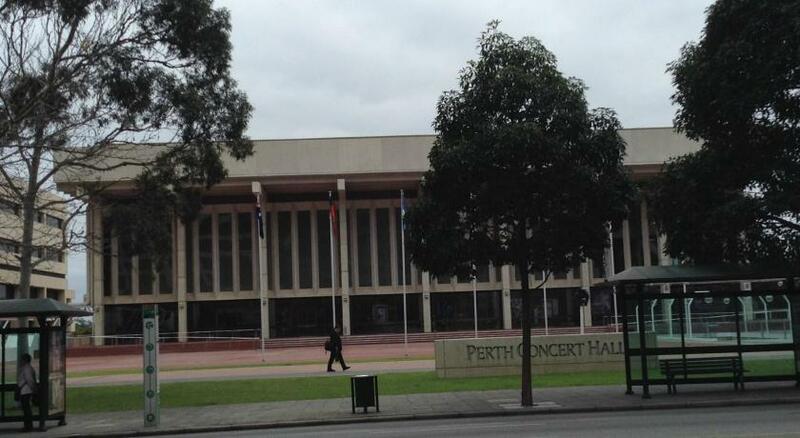 This property is also rated for the best value in Perth! Guests are getting more for their money when compared to other properties in this city. 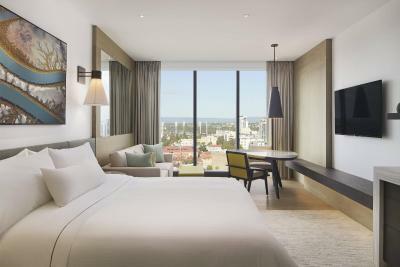 When would you like to stay at The Westin Perth? 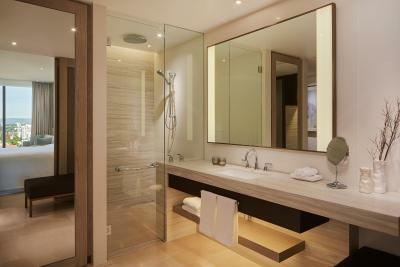 This double room features a flat-screen TV, sofa and bathrobe. 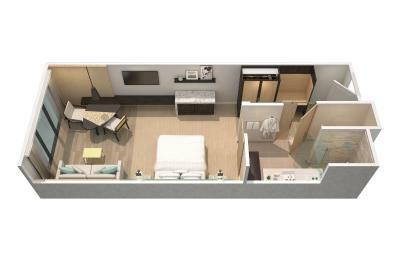 This double room features a electric kettle, seating area and bathrobe. 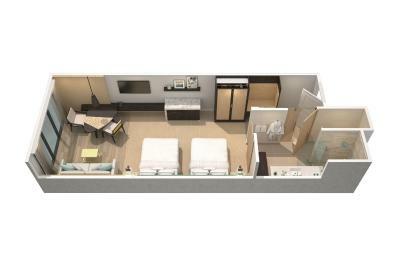 This double room has a seating area, flat-screen TV and bathrobe. 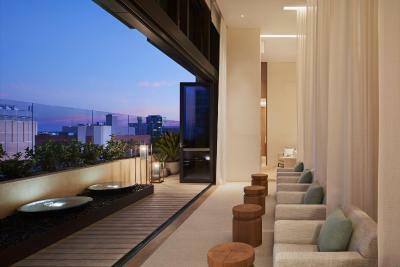 House Rules The Westin Perth takes special requests – add in the next step! All children under 12 years are charged AUD 70 per night for extra beds. 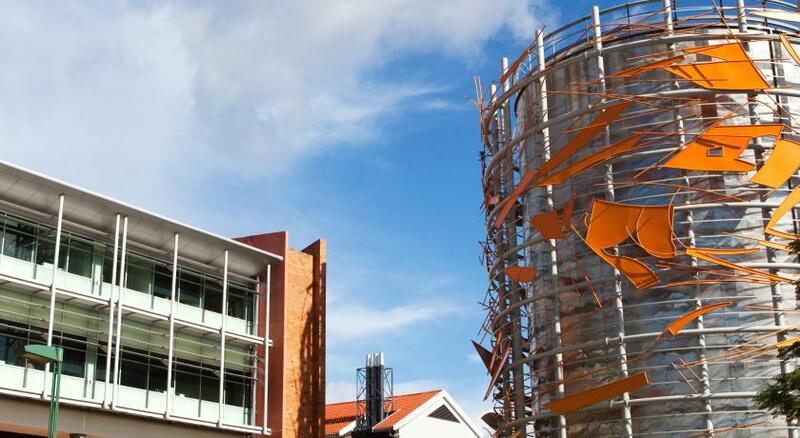 Any additional older children or adults are charged AUD 70 per night for extra beds. 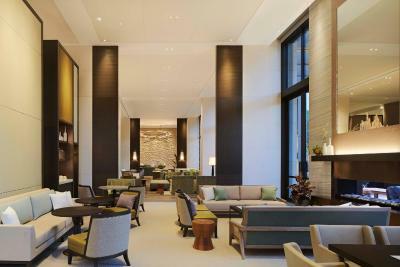 The Westin Perth accepts these cards and reserves the right to temporarily hold an amount prior to arrival. 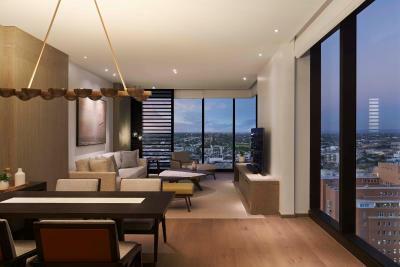 Please note that this property requires an AUD 200 per night credit card pre-authorization upon check in to cover any incidental charges. The rooms lighting is terrible. Its an all on or all off affair. There is a slight dum option, but still not enough. You cannot turn many lights off individually - in partocular the 2 lamps next to the bed were annoying but to turn them off you had to turn every light off. We were offered a newspaper delivered to our room in the mornings, however was never received. The staff were friendly and the room was great. Amazingly confirtable bed, luxurious bathroom and toiletries, very child friendly staff snd a wonderful breakfast! Nothing! There's nothing bad I can say about The Westin Perth! The Westin Perth is absolutely phenomenal, definitely one of the best hotels I've stayed at Australia-wide. The staff are spectacular and so helpful, and the room is just out of this world. I really enjoyed my stay. The room was very new and clean. The restaurant was lovely. Food and beverage are over-priced which encourages patrons to eat and drink elsewhere. 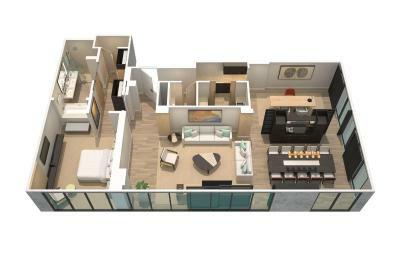 A new property that is very well appointed. I like everything about the service, and the kindness of every staff. That I couldn’t stay longer!